What kind of sirens does your city use? Post subject: Re: What kind of sirens does your city use? There is a removed Sterling M-10 location atop the Museum. Absolutely no idea where it ended up. Whelen WS-1004 OR Speaker Array atop the campground offices. 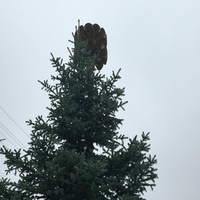 I'll grab some pics of it this Summer. WUPS! We deliver the packages er-hits! Well In My Town Kyle, TX We Only Have A Single Inactive Federal Signal Model 5 That's Been Sitting There For More Than Likely 50+ Years But They Kept The Shape Of It In Great Condition! My County Hays County All Together Has 14 ASC T-121's 1 Sterling M-10 And A Thunderbolt Pipe That Used To Have The Entire Siren But Sadly Removed For No Reason. 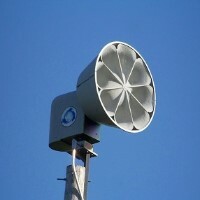 My town has 1 Federal Sign and Signal Thunderbolt 1000A in the process of being replaced, 2 2001-SRNBs, and one 2001-130.
just wanted to tell you from anither source that the thunderbeam on jordan rd didnt go off for todays test, also have you thought about making the tests longer? or testing all signals, in both redstone and the county? About 8 ASC T-128's and 1 roof-mounted ASC RM-130, which is unused. - 1 1/2 minutes of alert on the second Wednesday of the month at 2:00PM. - 1 1/2 minutes of alert every Wednesday at 2:00PM. That’s a pretty crazy testing schedule! But cool. 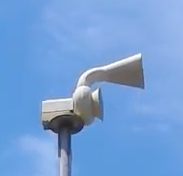 Resident of a county with big a mixture of sirens, but in the process of being replaced. Federal Signal Modulator 4016s and 5020s. There’s also a Federal Signal DSA4 somewhere, but I haven’t pinned it down yet.